Although it often falls into the hodgepodge of other South American countries, Venezuela is an exceptionally beautiful country with a lot to offer travellers. It has a lot to boast about when it comes to history, culture and fascinating people. For those planning that next relaxing escape from urbanization, Venezuela should be on their radar. Like every country, Venezuela has its spas and other pampering spots within its eclectic cities, but it is the natural wonders that are the real key to relaxation. What is more relaxing than a day at the beach? 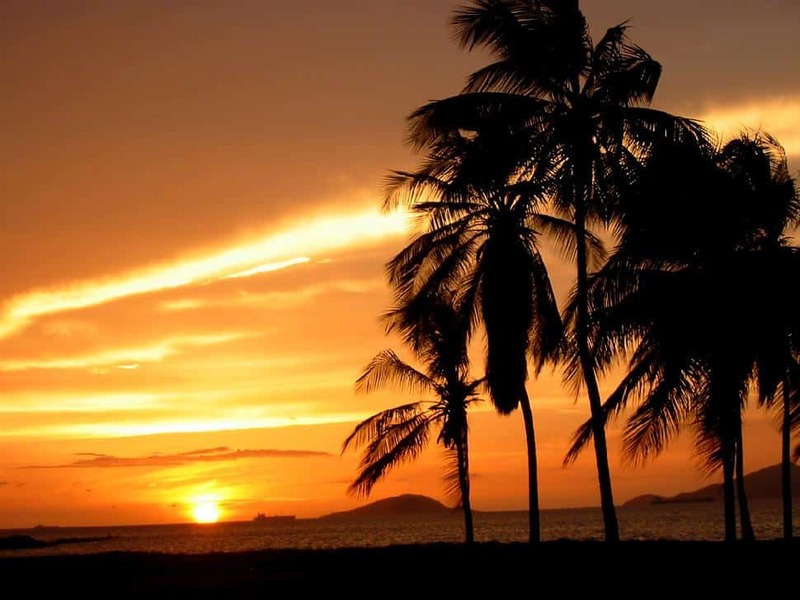 Venezuela is privileged to have a long coastline along the Caribbean Sea. While visitors can enjoy a number of water sports and island hopping, for the best beach experience they will want to head down to the Puerto La Cruz. Located on the eastern edge of Venezuela just outside of Mochima National Park, Puerto La Cruz provides all the beauty of a Caribbean beach while still being backed by lush Venezuelan jungle. While a good deal of beachfront in Puerto La Cruz has been turned into resort after resort, there are still some long stretches of beautiful white sand outside of the city as well as some of the cleanest ocean water around. The bonus of the nearby beachside metropolis is that visitors can get pampered at the spa and keep the relaxation going on the beach. What better way to realize your place in the universe than to look upon something much grander than yourself? 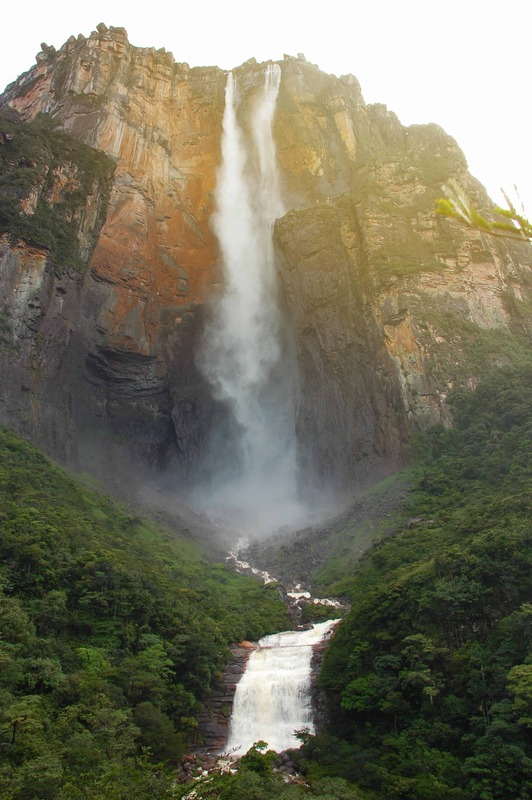 Angel Falls is easily the most famous tourist attraction in Venezuela, especially among nature lovers. Dropping 979 metres down a coloured stone cliff, Angel Falls is renowned as the tallest waterfall in the world. To put its height into perspective, it is around fifteen times taller than the Niagara Falls. The waterfall was named by Jimmy Angel after his plane crashed nearby and he had to walk through the jungle for 11 days to reach civilization. Today, the area is much easier to travel than when Jimmy Angel traveled it. Trails lead up to the falls and around the surrounding jungle. 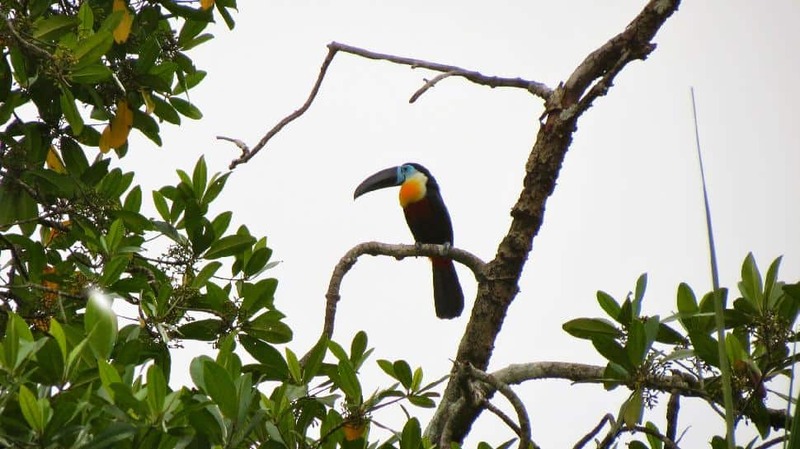 While travelling through the area, visitors will find a variety of tropical fauna and flora including poison arrow frogs, monkeys and several rare orchid species. Although much rarer to spot, visitors may see or hear jaguars and pumas in the distance. 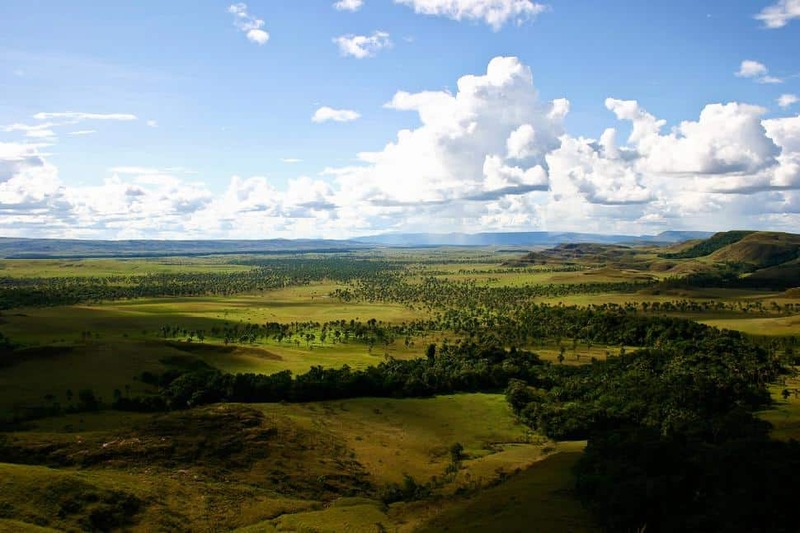 In terms of biodiversity, La Gran Sabana is the richest place in Venezuela. The Gran Sebana is a picturesque plateau right on the Venezuela-Brazil border and home to a series of the country's endemic species. During the spring, the plains atop the plateau are covered with wildflowers and there is always a cool breeze to keep things from getting too hot. While there are hiking trails throughout and a few outfitters that will take visitors out on horseback, the best way to explore La Gran Sabana is to rent a 4-wheel drive vehicle and go off-road to discover some of the best spots in the area. Even local Venezuelans see the Gran Sabana as a nice way to release some stress, as the views from the edge where the land rises 1,000 metres above sea level is as inspiring as they come. Orinoco delta is an intricate labyrinth of waterways that weave through the jungle leading the waters of the Orinoco River into the Atlantic. This river delta provides a massive variety of habitats, both terrestrial and aquatic, that have lead to it not only being a hotspot for water-based jungle tours, but fishing excursions as well. 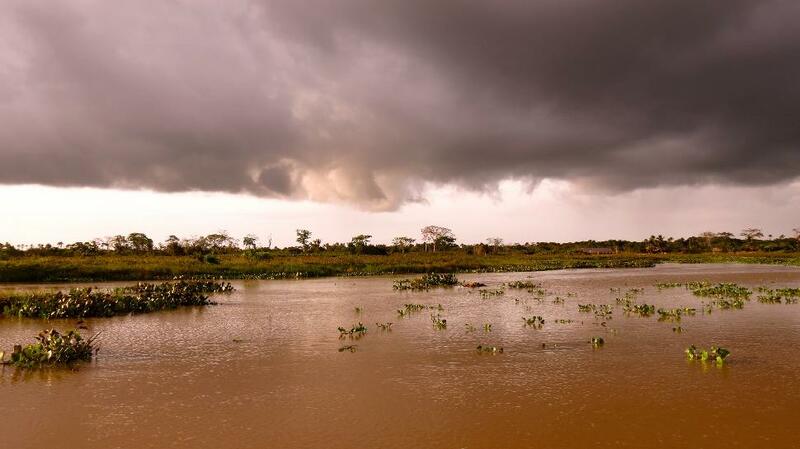 Visitors can travel the water leisurely fishing for piranha or spotting parrots and anacondas in the jungle canopy, but one of the biggest attractions in the Orinoco delta is the stunning mud volcanoes. These volcanoes produce no lava, but instead exude hot liquid mud from beneath the Earth's surface. As the heated mud is just dirt that mingles with the heated water below, the mud volcanoes in the Orinoco have a high level of salt content from the ocean. Visitors that travel around the small mini-volcanoes will be sharing the land with a number of cows in the area that come to lick the dried mud for its salt content. The cows in the area have become so used to it that the salt is now an integral part of their diet needed to produce milk. Not all of Venezuela's most relaxing spots lay within its intrinsic natural beauty. In fact, sometimes it's most beautiful and soothing treasures are within its man-made wonders. 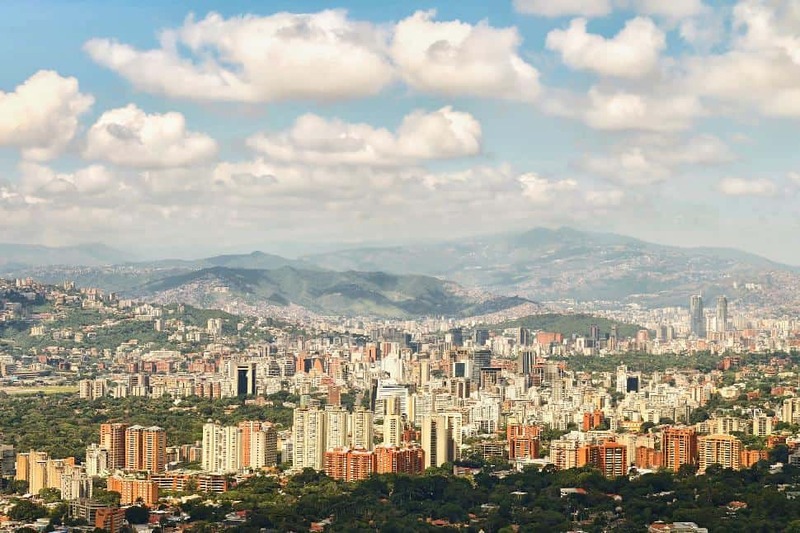 Venezuela's urban spirit can best be discovered in its capital and its largest city of Caracas. When travelling, visitors often bypass a nation's capital city as it tenders to be too crowded, dangerous or dirty. However, Caracas is the polar opposite. This beautiful city feels more like an urban escape at times rather than a massive capital. 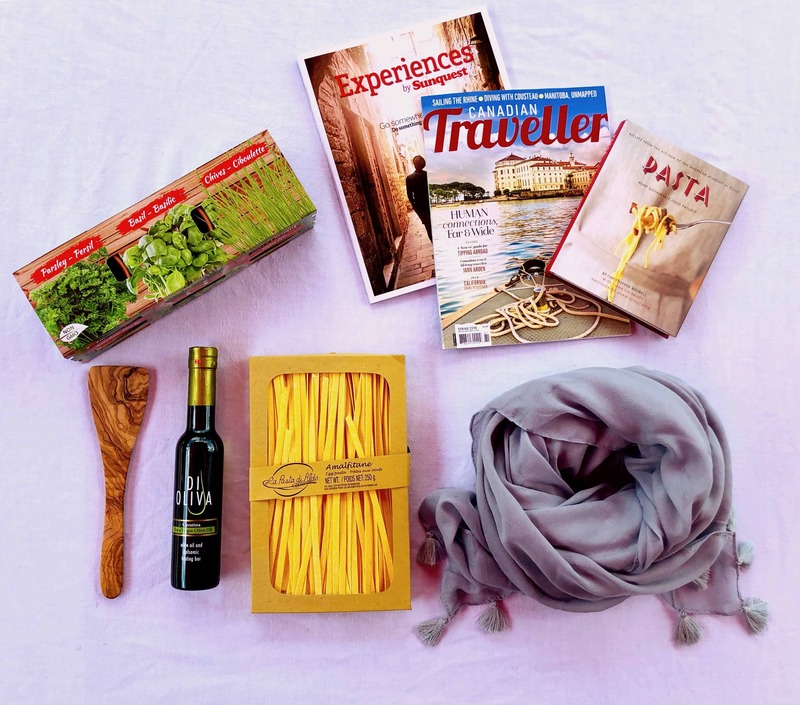 Visitors can explore the excellent art and nightlife scene all while sampling some of Venezuela's best culinary riches. 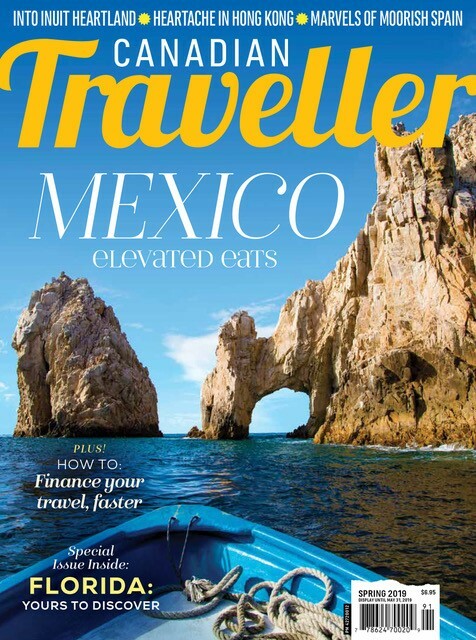 Visitors can hike or take the cable car up Avila Mountain before returning to world class accommodations like the Hotel Savoy or the Gran Melia to be pampered at the spa. Have you been to Venezuela? What was your itinerary?